I’m not sure how many iterations there have been of Calvin Klein’s makeup range, but I’ve definitely seen bits and pieces floating around the likes of TK Maxx over the last few years. The range seems to have gone up in the world now, with a coveted spot in Debenhams Beauty Hall. 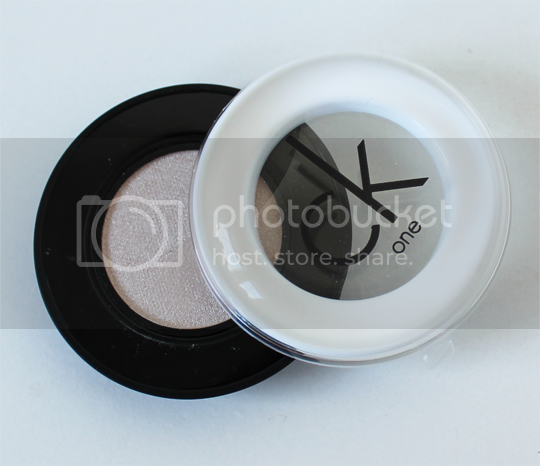 Lately, I’ve been having a play with this ck one Powder Eyeshadow in Infinite*. First of all, if you ever try one of these ck one eyeshadows, let me tell you now that the lid slides sideways. I spent a full five minutes trying to prise the lid up until I realised. Moron. Now I know how the bloody thing opens, I’m actually quite fond of the packaging. Everyone likes a bit of monochrome, and the use of white plastic doesn’t feel cheap. The black parts are a kind of rubbery material, quite reminiscent of NARS. As for the shadow itself, it’s immediately my sort of colour for an everyday wash over the lids, but if you’re anything like me you like your eyeshadows with some serious colour payoff. Infinite is a very pretty shade, with a finely milled texture and smooth application, but it just doesn’t pack enough of a punch for me in terms of vibrancy. It imparts a very, very sheer wash of shimmer onto the lid which is pretty, but just not enough for my tastes. That’s not to say this is completely useless, though – I’ve found that it actually makes a really lovely highlighter for the cheekbones. 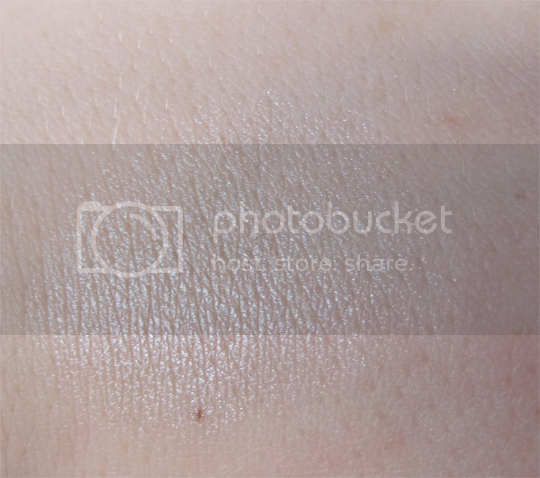 This will only really work for pale skintones, but it’s particularly nice for me because it doesn’t lean towards yellow like many of these champagne-y sort of shades do. A quick sweep of Infinite over the high points of the face leaves my skin looking seriously illuminated and healthy, and for that I love it. 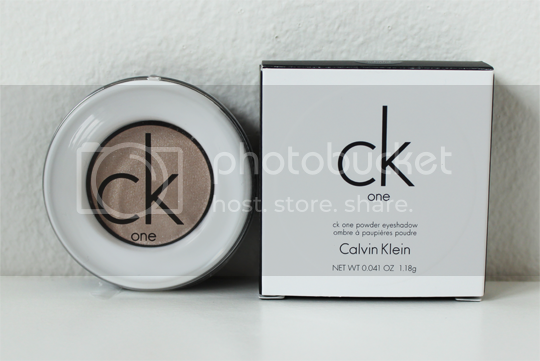 ck one Powder Eyeshadows cost a reasonable £12 and are available from Debenhams.